As numbers obviously don’t exist in a physical sense - you can't trip over the number ‘2’ in the street - one might conclude that, as in the language case, numbers exist only in thought. To answer such things one might decide to conduct an experiment, to observe the reasoning process. Sadly, to do so is like observing which slit a particle passes through in the famous double-slit experiment from quantum mechanics; when an observation is made, the effect of the observation crashes the experiment. It would seem that the machine (the mind) cannot watch itself in operation and observe its own subtle workings. 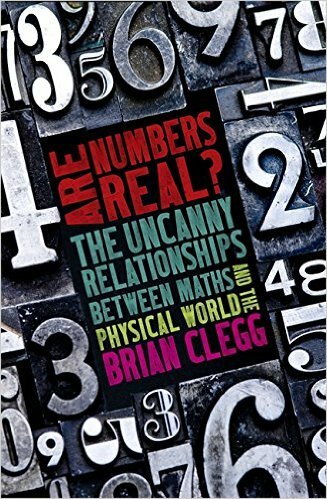 In the book, Clegg takes us from aspects of mathematics which seem very natural - even suggesting in an entertaining way how a basic number system could be developed as a result of lending someone your goats - to those which certainly do require conscious thought and seem very far removed from the world, though paradoxically this kind of mathematics is used to drive the way that physics currently explores reality. 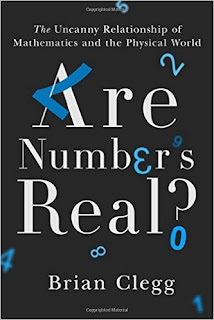 It's both a brief history of the human love-hate relationship with maths and a look at the way that what was once clearly a direct representation of the physical has become a language and reality of its own. In Are Numbers Real? Clegg tackles what is a very deep question in his usual way: with clarity, wit and a wonderfully clear narrative writing style. Not only does he tackle a wide variety of subjects to seek out the truth of the matter, he does so in an engaging and hugely accessible way. I personally couldn’t put it down and as an active researcher in the field itself, it has provided me with some very, um, real food for thought.